FB-5000/FB-5600 Extra Heavy Duty Clutch Pumps A series of extra heavy duty electro-magnetic clutch pumps, comprising four different sizes. Main Clutch Pump are suitable for various models of Bulldozers , which are totally interchangeable and is offered as one to one replacement. 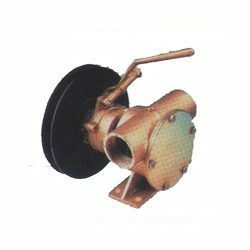 The Pumps are manufactured as per OEM quality with graded castings, Gears are profile ground, Needle roller bearings & quality Seals.